IME is always pleased host students who are interested in expanding their knowledge and exposure to technology and engineering. To spark students’ interests in technology and engineering, rather than teaching them with theory and math-based problem solving, why not expose them to real-world product development challenges and solutions? 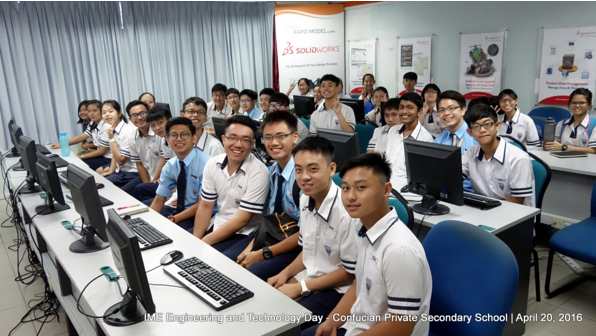 We are glad that Confucian Secondary Private School emphasises on early industry exposure for their students. As science, technology, engineering, and mathematics (STEM) are the fundamental elements in the preparation of our next generation, we believe that early exposure to STEM education benefits early critical thinking and reasoning skills. Moreover, combination of STEM education and industrial exposure allows students to experience the real engineering world, thus, have a clearer sense of their strengths, interests and goals. The world is changing more rapidly than most people realise, and being an engineer in the future will definitely be full of challenges, opportunities, and fun! The jobs that they will be doing may not even exist today. We shared about advanced technology and manufacturing trends such as the Internet of things (IoT), automation, smart manufacturing, robotics, and discussed about how these technology had and will continue to change the way things are made, and the way we live. After the idea and knowledge sharing, it’s time to get their hands dirty. During this 2-hour session, step-by-step instructions were given by our certified expert. Students were able to learn and experience 3D modeling using SOLIDWORKS, as well as understanding the importance of design intent. Students were so excited and can’t wait to start the session! In order to increase the students’ involvement, we encouraged them to create their own model to be used as teaching material. 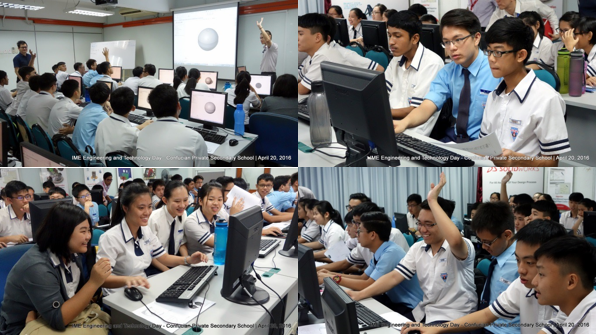 The students were very excited to learn how to turn their design into a CAD model. By end of the session, the students were able to generate both engineering and presentation output, with a model that was ready to be printed using a 3D printer. 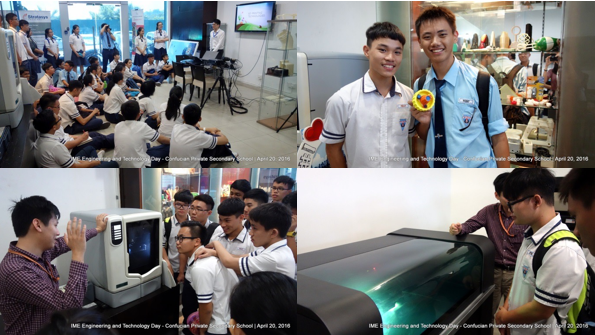 3D printing is shaping the future; the students were excited to see and experience such advance technology through our Rapid Model Development (RMD) Gallery. 3D printing allows students to have a mindset for better learning and opens up the limit of their imagination and creativity. During this session, we shared knowledge about 3D printing technologies and how it is shaping our future – how it is changing our lives. Live printing and explanation of various samples of 3D printing made it easy for them to understand how this technology is applied across different industries. Advanced technology is becoming increasingly accessible to the vast public. Student as young as 9 year old is able to create his own design and product via CAD software and 3D printing. There is truly no limit for our imagination! 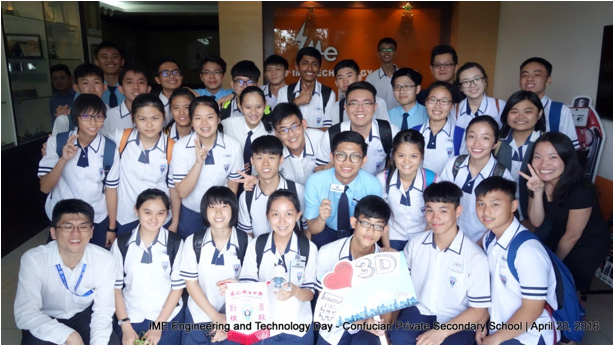 Check out the design by Confucian Secondary Private School, from design to CAD model to a 3D printed part. We believe with proper guidance and exposure, the potential of our young generation can be unlocked, opening doors of possibilities beyond our imagination. Join us in the effort to empower the next generation in becoming awesome innovators! Click HERE to experience the learning journey through photos.